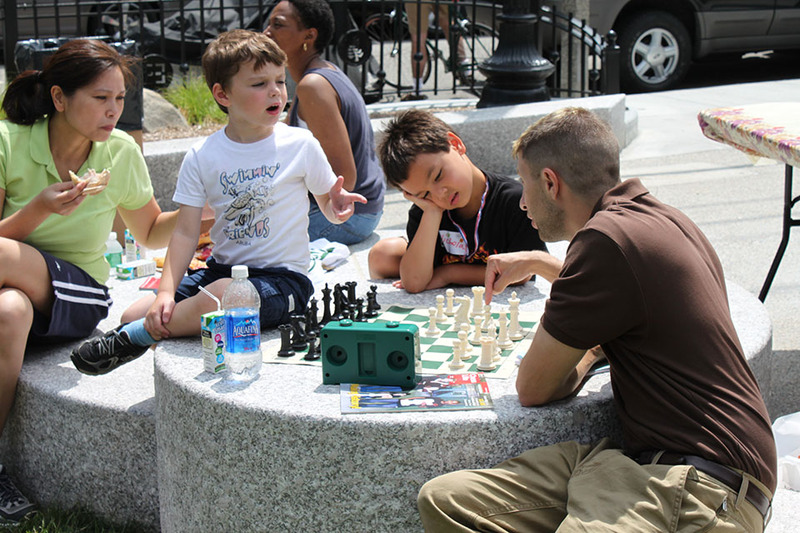 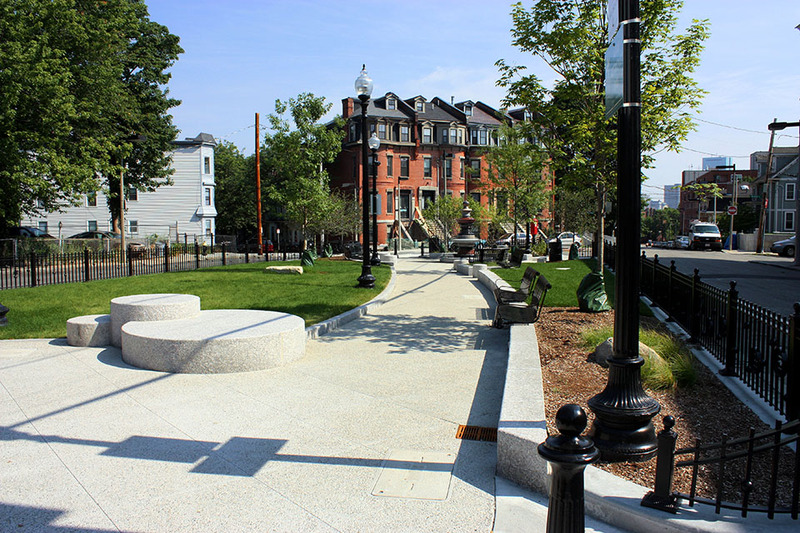 CRJA-IBI Group collaborated with the Boston Parks Department and the neighborhood on a new design and implementation for Kittredge Park in Boston’s Roxbury community. 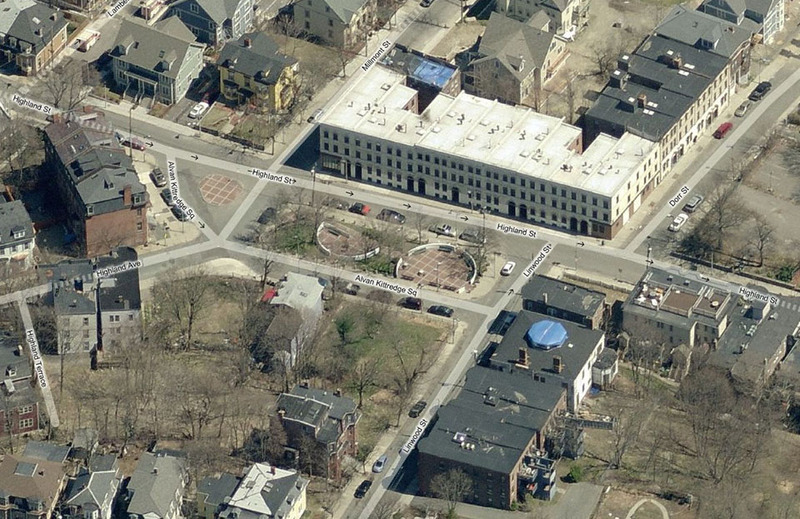 Roxbury’s Highland Park neighborhood has been at the forefront of many ground-breaking social justice movements through its history. 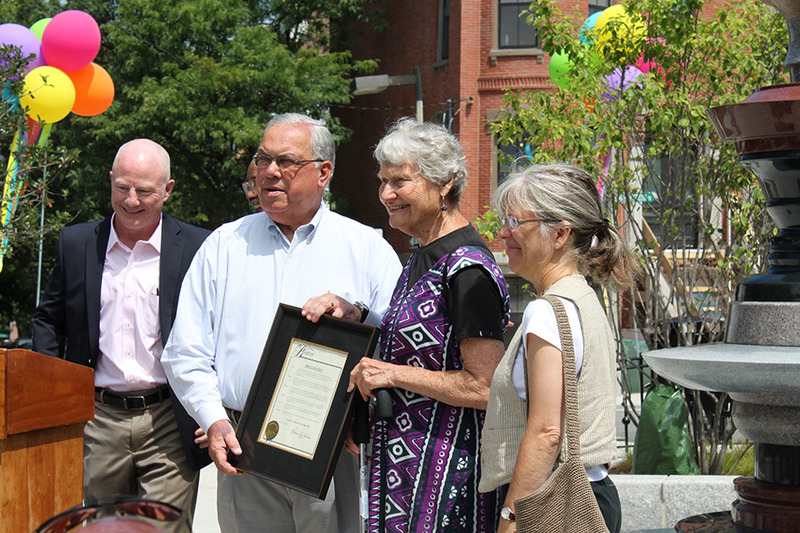 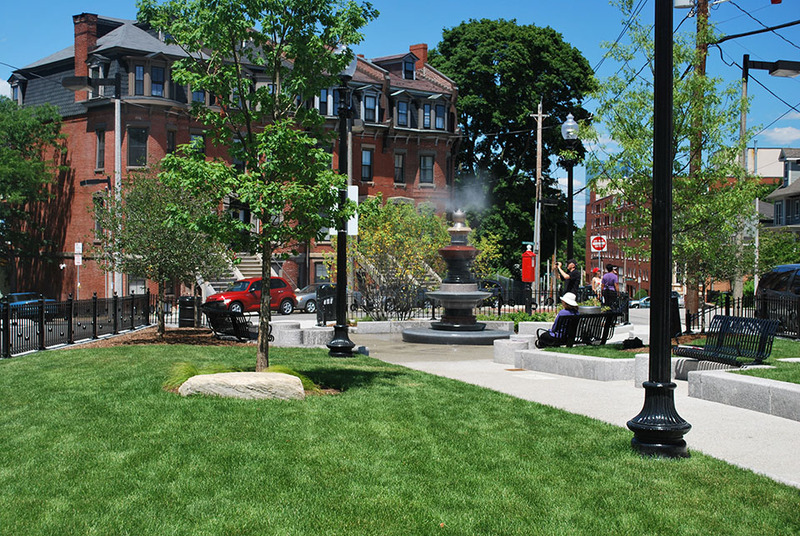 The celebration of this rich history is a key feature of the plan that resulted from the neighborhood design process as well as the eventual park design. 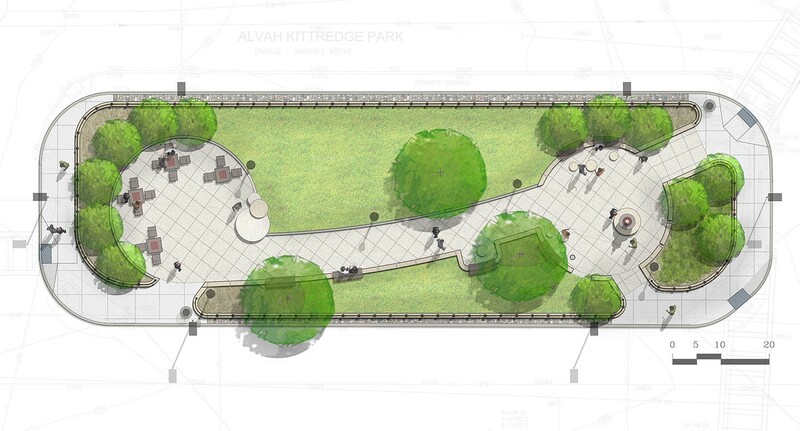 For the final park design, a highly respected local artist was selected by a public process and brought on the project to give shape to the expression of this history as well as to the main feature of the park—an interactive water feature. 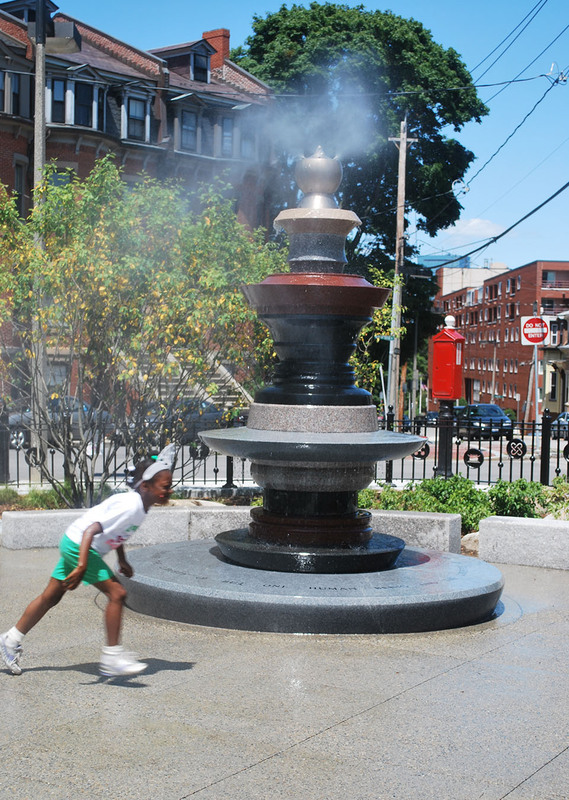 The water feature honors the abolitionist, William Lloyd Garrison. 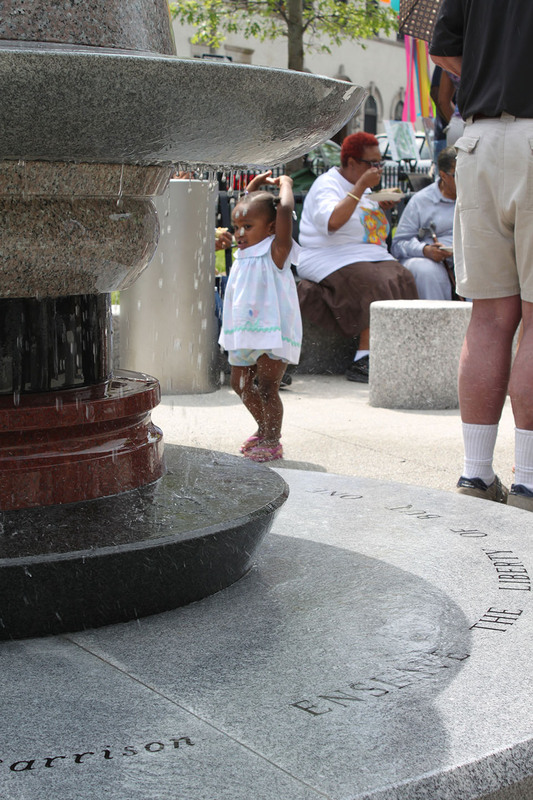 The interactive quality of the water feature also provides subtle elements of discovery and play along with a soothing sound for the small park, which is completely surrounded by the sounds of urban streets. 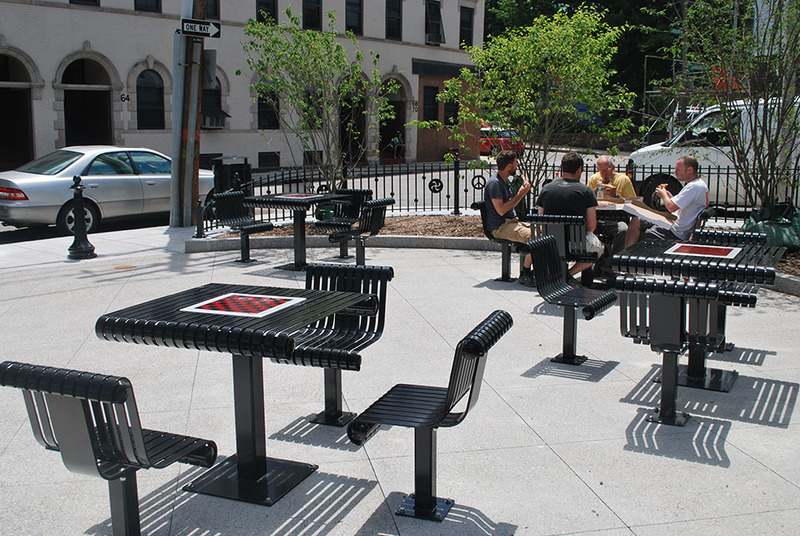 Other key features of the park are a central walkway flanked with lawn, trees, and a variety of sitting areas as well as a space for neighborhood or family outdoor dining. 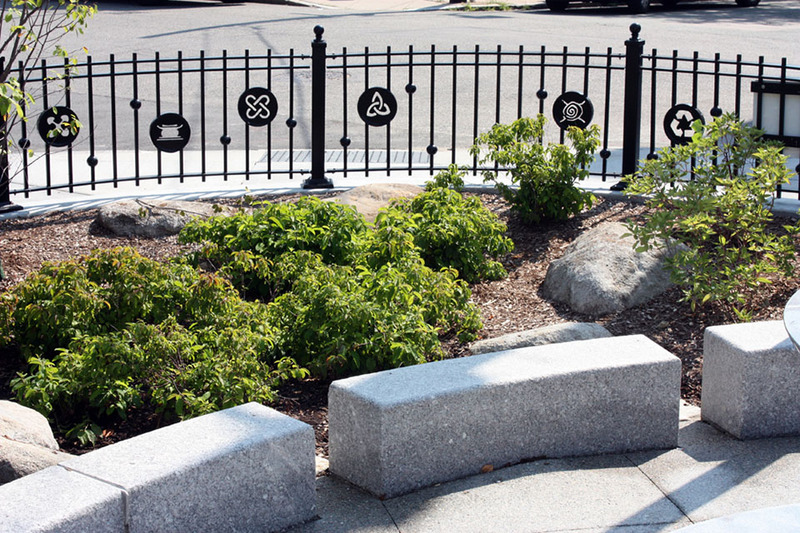 Along with these features that are designed to sustain the local human community, stormwater collection features such as a rain garden, infiltration trench and a dry well, along with the selection of native plant species, help sustain the larger environment of this busy urban neighborhood.